Keyline plowing was developed in Australia in the 1940s and ’50s. The technique uses a chisel subsoiler plow to break up soil compaction with minimal surface disturbance. “Keyline” describes the drive pattern, which is mapped out to work with the topography of a field to help redistribute water more effectively. This project is examining the impact of keyline pattern subsoiling on forage productivity, water use efficiency, and soil health. Organic matter, also called humic material or humus, is the fraction of soil made up of decomposing plant, animal, and microbial material. It is important for creating soil structure, as well as holding water and nutrients. In 2015, keyline plowing had no effect on soil organic matter content. This is not surprising, as it takes many years to build up organic matter. Field topography also had no statistically significant effect on soil organic matter content; there was no difference between high and low sampling points. Soil nutrients come from the mineral fraction of the soil and from manure applications and fertilizers; they are important for plant growth and production. Keyline subsoiling had no effect on phosphorus, potassium or sulphur when compared to the control. Topography also had no impact on soil nutrients. Weather and soil moisture monitoring began in July. The results from the 2015 field season indicate that the subsoiled plots held more moisture than the control. Figure 1. 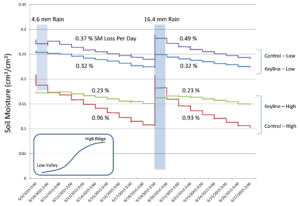 Soil moisture summary of two rain events in September 2015. 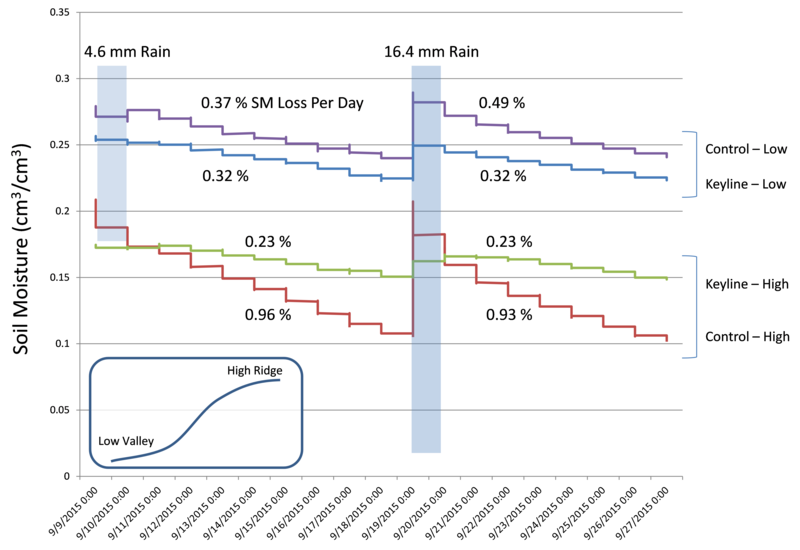 Soil moisture rate of change (average daily percent soil moisture loss) for keyline and control ridges and valleys. 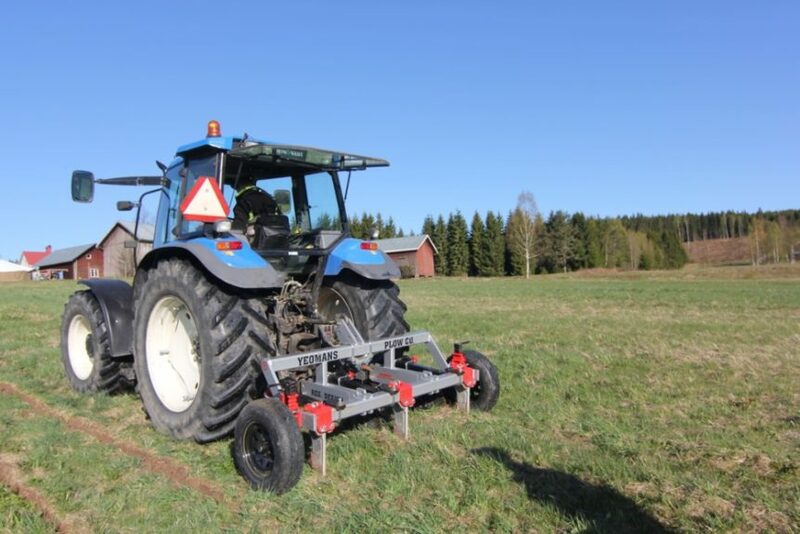 The increased water-holding capacity of the soil is most likely due to the action of the subsoiler. Soil compaction is a common problem, where soil is compressed to such an extent that water cannot infiltrate and percolate through the soil easily. However, it is not possible to separate the effects of the subsoiler from the effects of the keyline pattern in this trial. In 2016, more samples will be taken to assess the impact of keyline plowing in the second growing season after the operation. Thanks go to our farmer co-operator Peter Lambert for his assistance with this project.